Fair warning. Make a double batch. 1) Line a baking sheet with waxed paper. 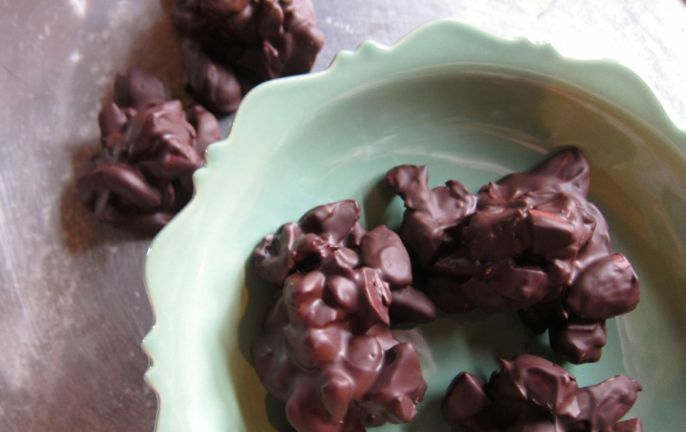 2) Melt the chocolate, either in a double boiler or in the microwave. 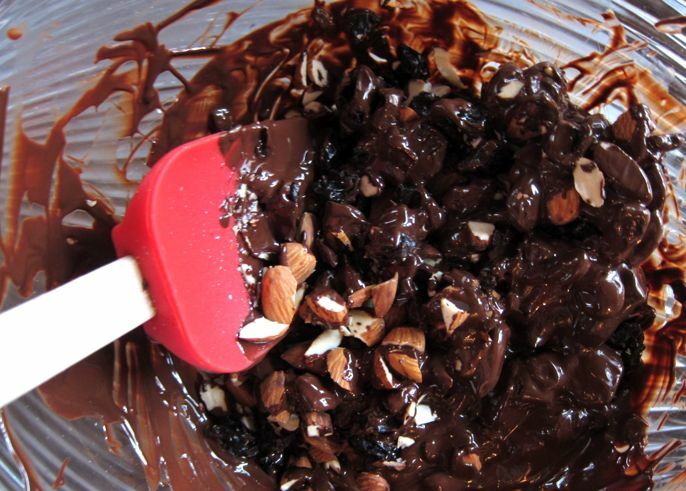 3) Add the chopped almonds and dried cherries to the chocolate. 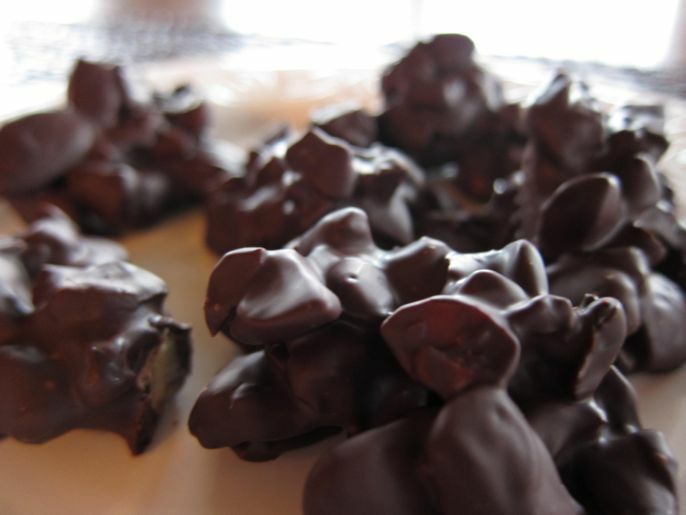 4) Drop clusters onto the baking sheet. Put in the refrigerator until cooled. we love those, make them all the time! yum! OH MY GOLLY. I am definitely gonna make these, thank you Lori!!! Just PERFECT! Thanks & Happy Trails! Have a wonderful Christmas Lori!! I am sitting here on my computer with my morning coffee drooling over those goodies! YUM! Yum! 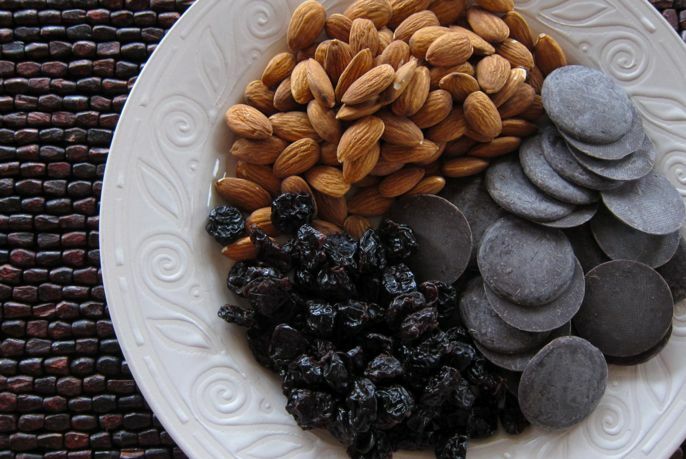 Delicious and so easy! Yum. I've never seen dried cherries or blueberries here but I guess cranberries would work fine instead.